Federal Reserve Chairwoman Janet Yellen says she is planning more hikes in the Fed funds rate, but you wouldn’t know it by watching the markets. So far the response in foreign exchange, bonds, and equities isn’t what people expected. But in an age when central bankers micromanage virtually all markets, the behavior could be the result of careful planning. Maybe the recent market action was only unpredictable for those of us outside of the FOMC conference room. Officials hiked rates in December, March, and June. Despite that the U.S. dollar has fallen to its lowest levels in more than a year. The DXY index peaked just above 103 in December and flopped to near 95 last week. The bond markets also aren’t responding as expected to the recent hikes or the threat of more to come. 10-year Treasury yields bumped up immediately following the November election, but have been bouncing between 2.25% and 2.5% ever since. At the moment, the yield is near the low end of that range. The same is true for stocks. 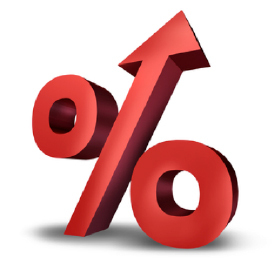 Higher borrowing costs for consumers and businesses should be on the way. Couple that with the slew of poor economic data, including lackluster GDP growth, and you might wonder why in the world stock investors have been so enthusiastic. There are some who wonder if the Fed has lost control of the markets. If that is true, it sure seems to be working in their favor. Yellen and company are making headway toward “normalizing” rates and regaining some dry powder. And the dollar, which many officials feared had grown too strong, is falling. Stocks have surged to record highs, and interest rates for consumer loans – including mortgages remain exceptionally low. Serendipity. The whole thing smells more than a little fishy. The trouble is it’s only a matter of time before the geniuses in charge at the Fed make a mistake and the bubbles they have been blowing explode with dire consequences – once again. The Fed is blundering once again. They can't seem to get anything right. That's not really surprising when you have the wrong models, obsolete models, you'll get the wrong policy every single time. But the economy's weak. It's getting weaker. We may be in a recession sooner than later. The market looks vulnerable and now the Fed wants to launch this major tightening program. I think it's nonsense to think that won't have some very bad effects. Our skepticism ratcheted even higher last week when Janet Yellen announced she does not expect another financial crisis in our lifetime. She’s confident adequate controls are now in place and the lessons of the past have been learned. They haven’t. She and the rest of the central planners at the Fed don’t understand the leading role they played in creating the dot com bubble or the real estate bubble behind the 2008 financial crisis. She isn’t particularly concerned about the surge in her organization’s balance sheet, metastasizing private sector debt, and the trillions added in government borrowing since the last crisis. Yellen ought to sound more like Susana Mendoza – the Comptroller in the financially teetering state of Illinois. The state is grappling with insolvency and Mendoza is sounding the alarm. Yellen, meanwhile, is feeling quite self-assured instead. It’s the sort of hubris we’ve seen before from Fed bankers – right before the wheels come off the economic cart.